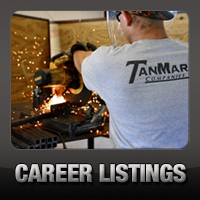 Rentals: Support Equipment - TanMar Companies, LLC. 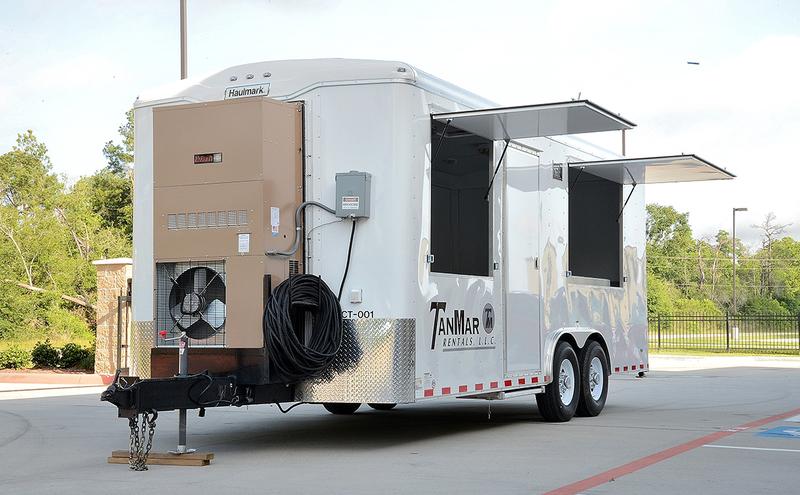 Our new state of the art cooling trailers, or better classified as “climate controlled units,” can be used in many different climates and applications. This all electric unit comes equipped with a wall pac ac unit with heat strips enabling our customers to adjust the temperature in either direction depending on the climate. Fans mounted on the interior wall and fold up walls allow air to continuously flow through the unit. 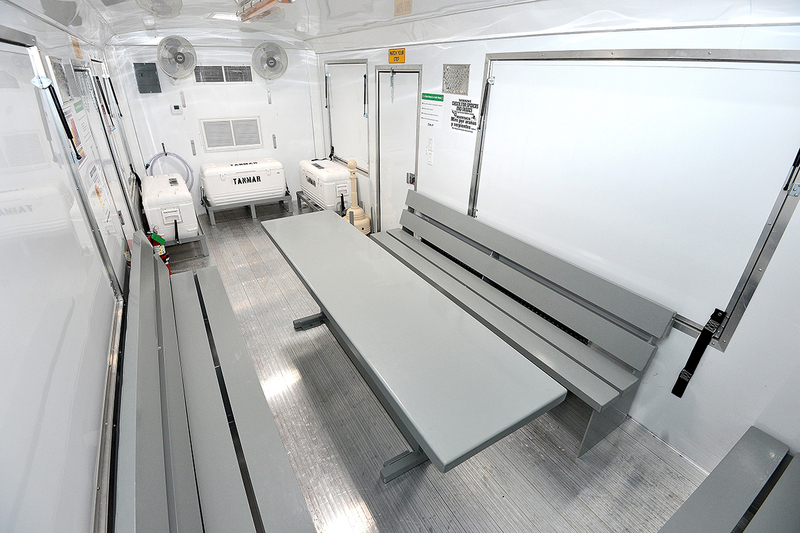 Also on the interior is a built in table with benches on 3 sides, fire extinguisher, safety information, and ice chests for refreshments. 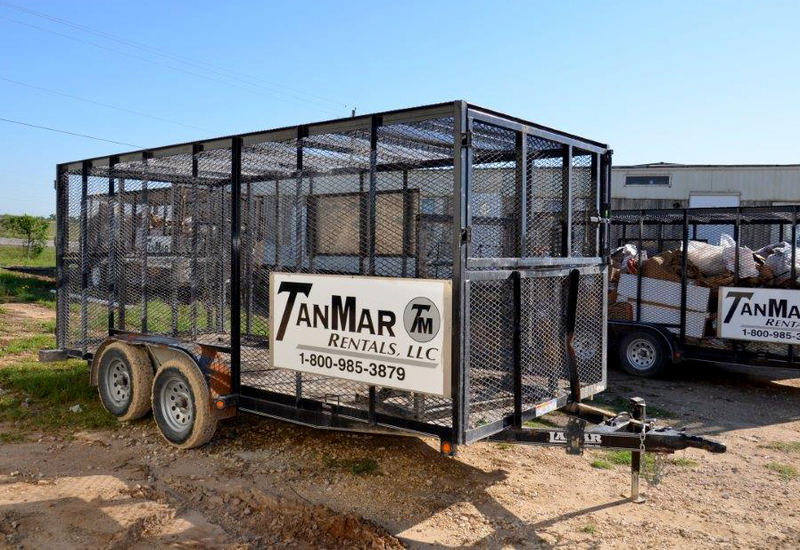 TanMar provides 30 yard capacity roll off dumpsters to give maximum capacity for all trash and non- hazardous waste on location. 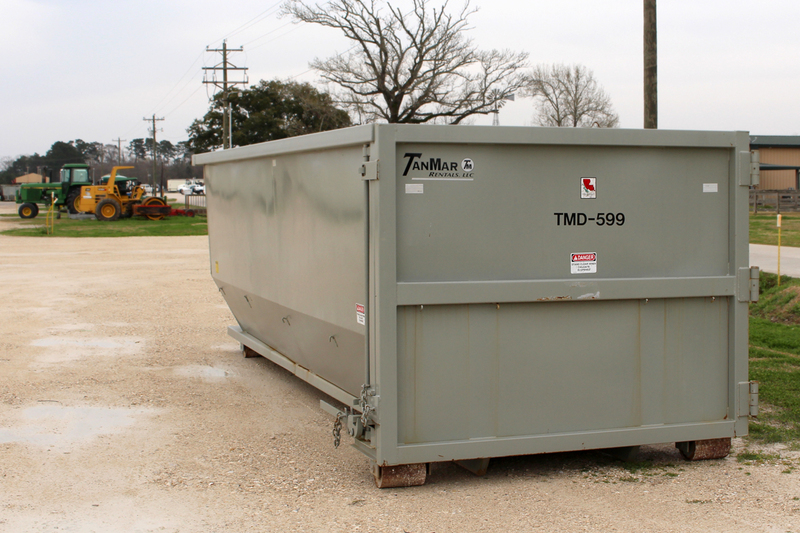 Having a larger capacity and stronger durability than typical trash trailers, the dumpster is taken to disposal less frequently and requires less maintenance due to every day wear and tear. 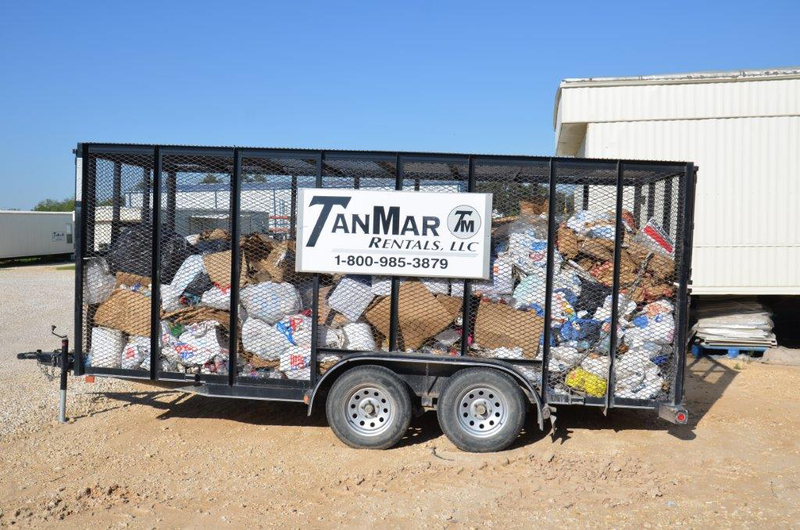 TanMar provides the trucking and disposal services as well for these dumpsters. 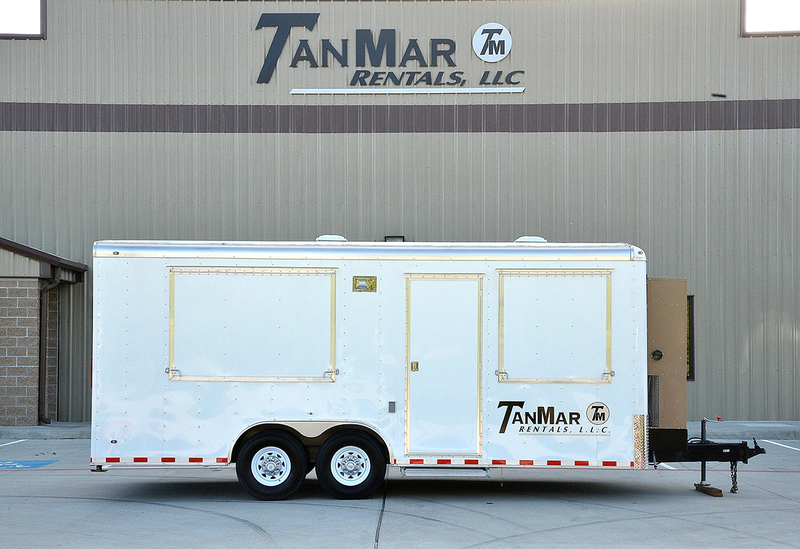 For areas where frequent moves are common and mobility is important, our trash trailers are a perfect solution to keeping trash neatly stored on location. 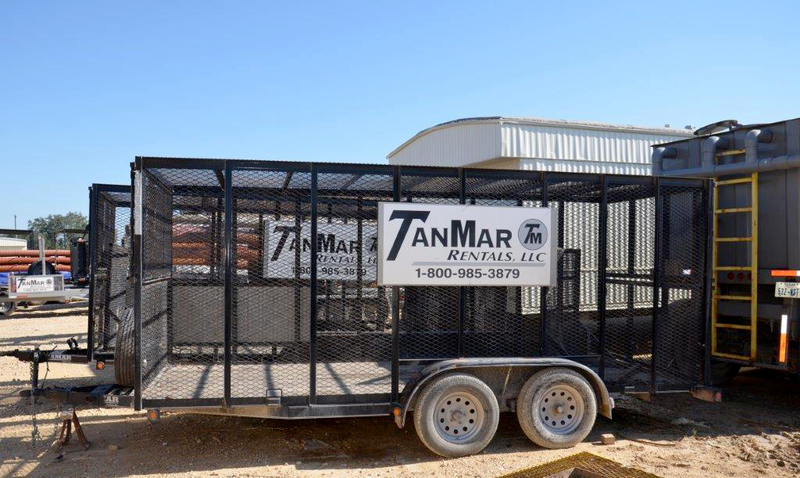 These fully enclosed trailers eliminate any trash from escaping during transit and can be easily relocated on location as needed. 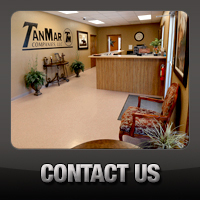 TanMar provides the service to dispose of all contents of these trailers. 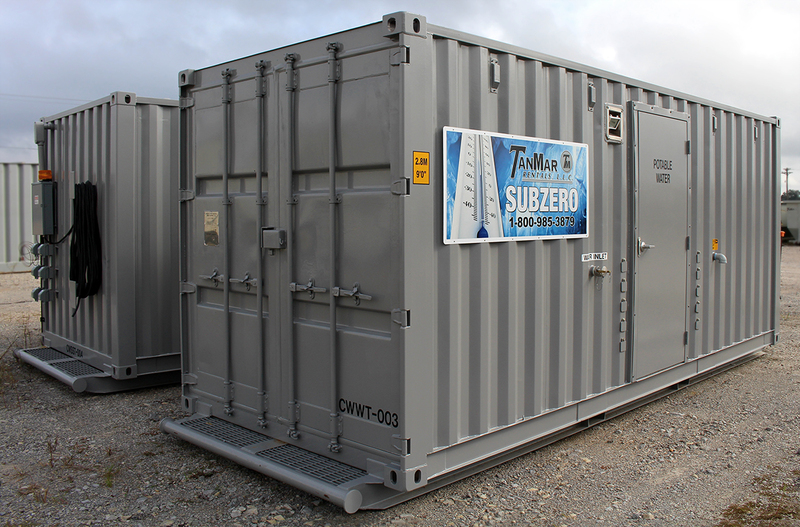 Enables our customers to cleanly store potable water on locations at remote sites.Comes completely installed with pressure pumps and water lines to facilitate numerous living accommodations and office buildings on a single location. 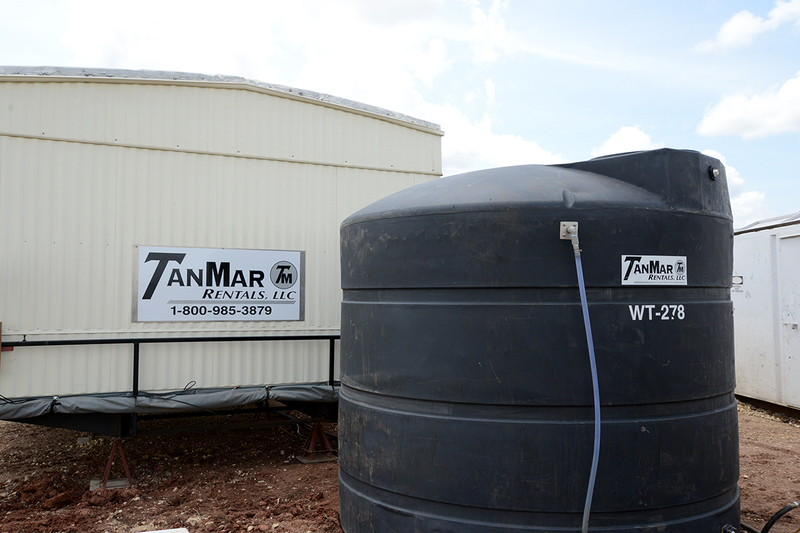 In areas where cold weather is a factor, TanMar will winterize the entire system to ensure that our customers will not be left without water due to freezing. 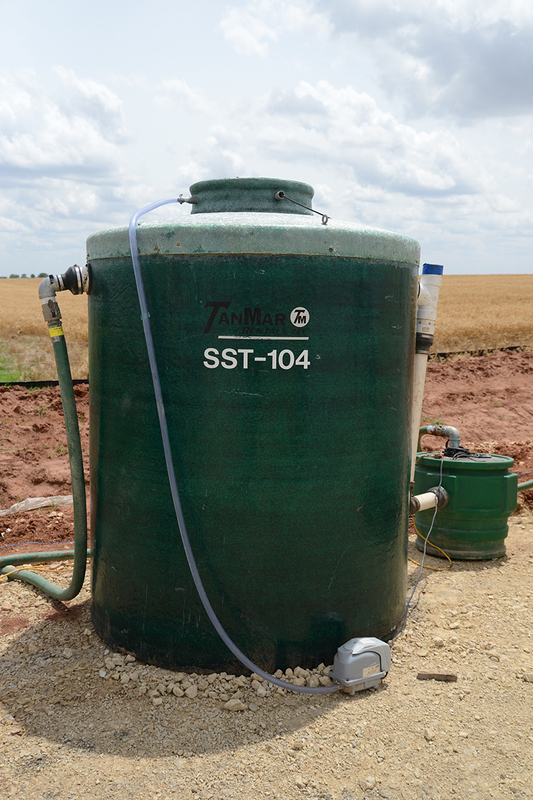 This aerobic septic system comes complete with aerator and chlorinator to ensure that all gray water on location gets adequately processed so that all effluent has been properly treated. 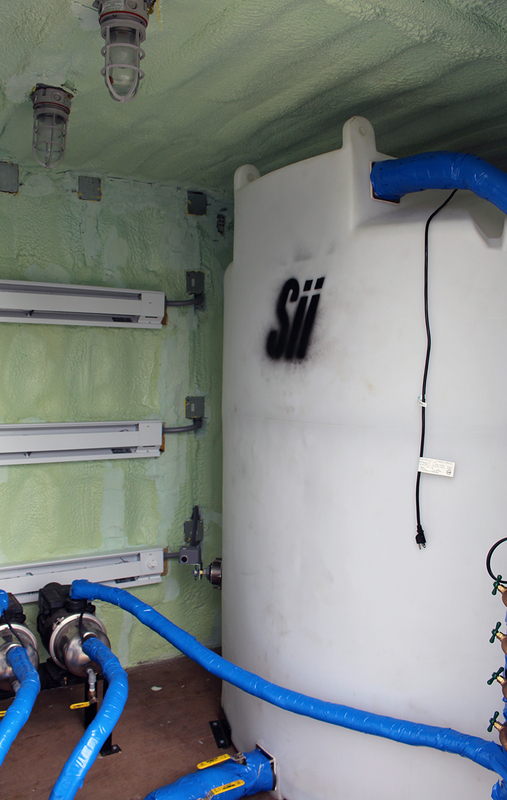 Capable of processing and treating up to 500 gallons per day, this system can effectively be used with multiple living quarters/office units on a single location. 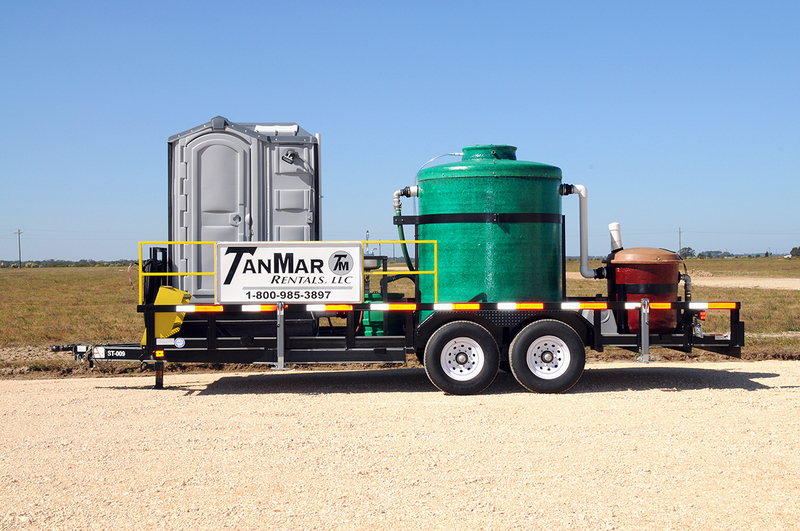 This all in one unit comes equipped with our standard 500 gallon aerobic sewer system, chlorinator, hand wash station, and flushable port let. 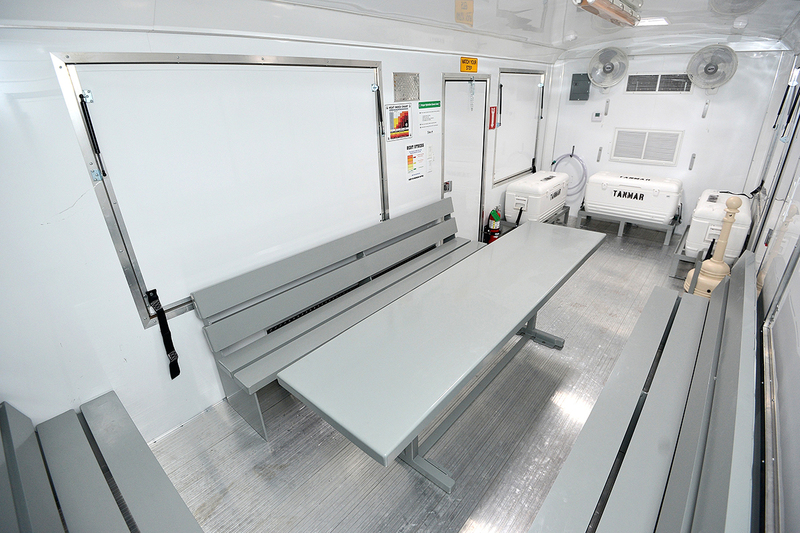 Having all of these installed and plumbed together on one trailer, not only increases the cleanliness of a location, but also decreases our customer’s cost by reducing the overall day rates and delivery charges versus renting these units separately. 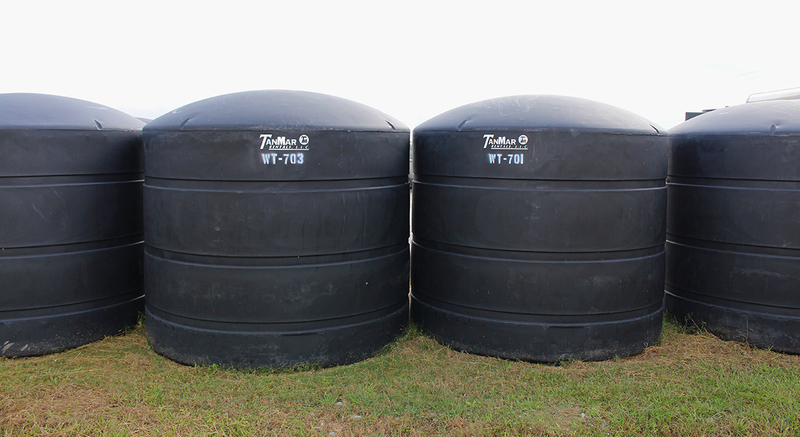 In areas where gray water discharge is not permitted, we supply gray water storage tanks to ensure that nothing is leaked onto the ground. 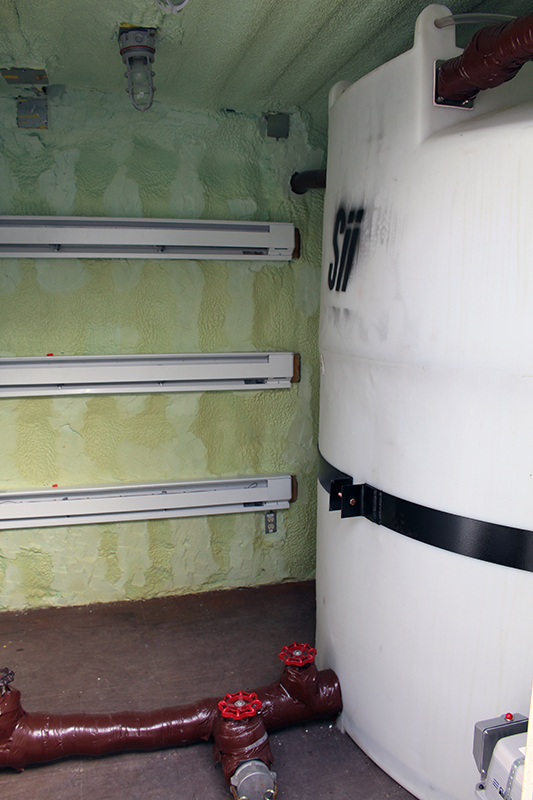 3,000 gallon holding tanks are the most common and practical for most locations, however, in instances where larger volumes are produced for longer periods of time we have the capabilities of using 500 bblfrac tanks for storage. 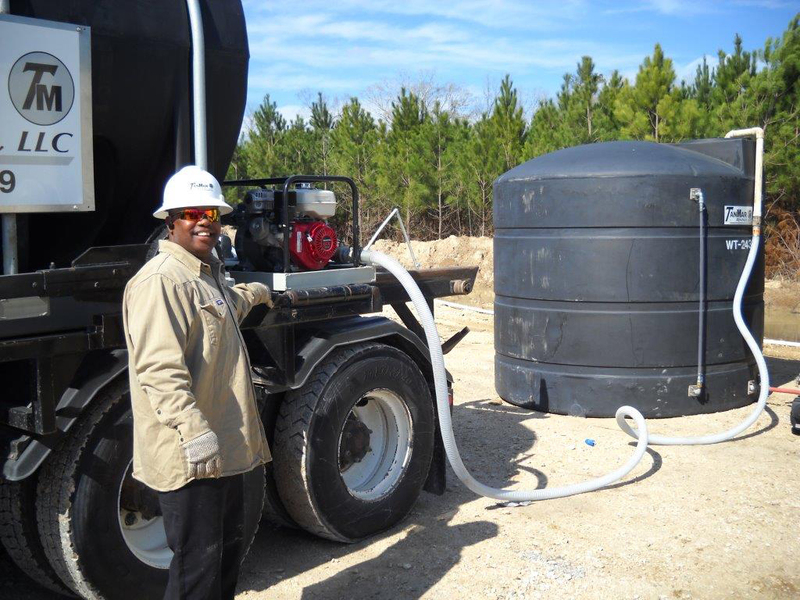 This reduces the frequency of pump outs, rental rates, and overall cost of disposal. 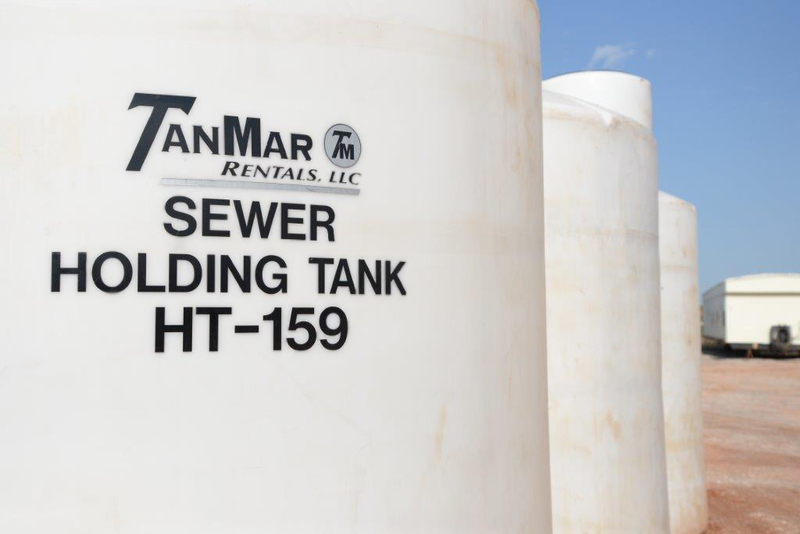 TanMar’s cold weather water and sewer units are perfect for wintry climates and frigid conditions. 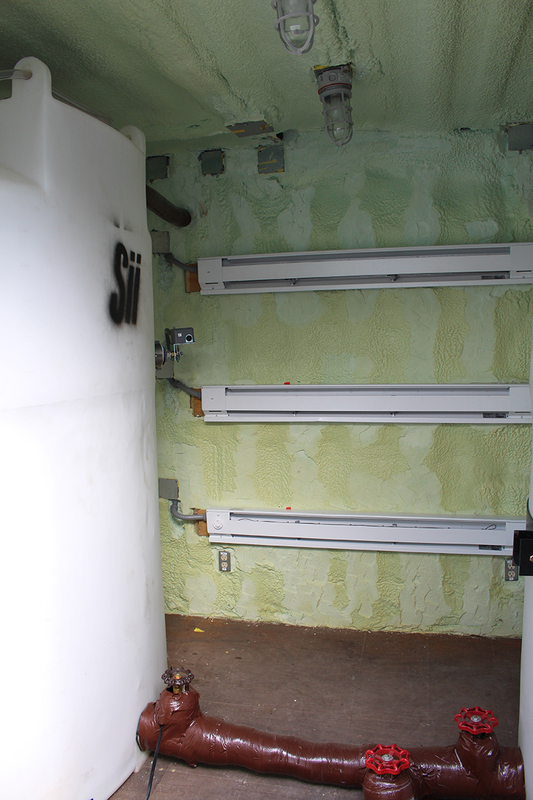 These self-contained units are heated and insulated to protect against freezing. 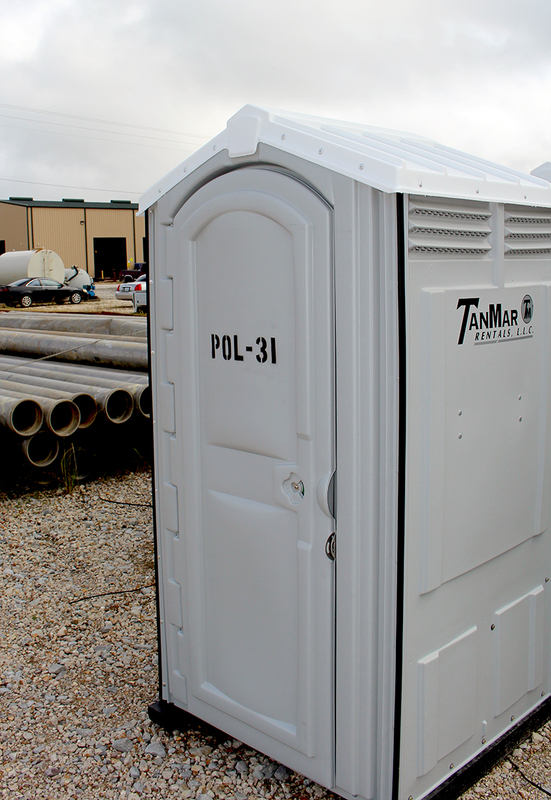 TanMar also offers standalone porta-potties. 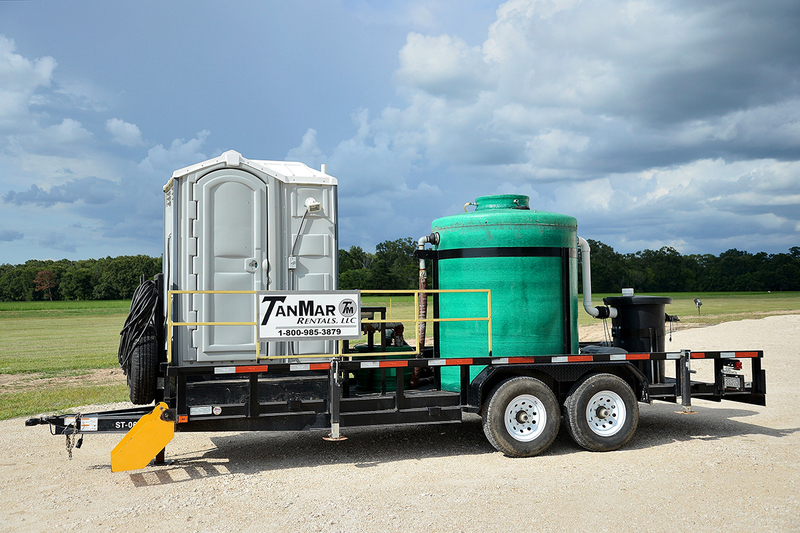 These portable bathroom units are clean and fully-functional, and are a convenient and sanitary solution to a lack of restrooms on the jobsite.